Unity is positive, practical Christianity. We teach the effective daily application of the principles of Truth taught and exemplified by Jesus Christ. We promote a way of life that leads to health, prosperity, happiness and peace of mind. Unity has established centers of study and worship throughout the world where people discover and practice the Unity way of life. We address physical, mental and emotional needs through affirmative prayer and spiritual education. We serve those who seek inspiration and prayer support as well as those who use Unity teachings as their primary path of spiritual growth. We believe that all people are created with sacred worth, and we strive to reach out to all who seek support and spiritual growth. Therefore, we recognize the importance of serving all people in spiritually and emotionally caring ways. Our ministries and outreaches are free of discrimination on the basis of race, gender, age, creed, religion, national origin, ethnicity, physical disability, and sexual orientation. Our sincere desire is to create spiritually aware organizations that are nondiscriminatory and support diversity. visit unity.org, or click download the Unity Identity Statement pdf below. For more information about Unity of Mesa and our Guiding Statement, visit our "Discover Unity" page. Unity was founded on prayer and healing. 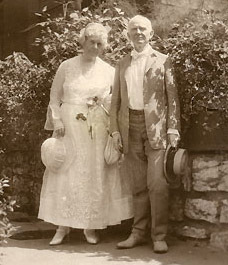 In the 1880s, a couple named Charles and Myrtle Fillmore of Kansas City began to explore methods of spiritual healing with remarkable results. Myrtle Fillmore, who had been given very little time to live, healed herself of tuberculosis through prayer and meditation and lived many more decades. Her husband Charles Fillmore watched in amazement. He then set out to learn how it worked. He wrote as he learned, publishing a magazine first called Modern Thought and later changed to Unity. A monthly booklet of inspirational readings, Daily Word, was first published in 1924 and is now mailed to three-million homes in 10 languages. Through their publications, the Fillmores encouraged prayer circles and spiritual study, and they began to receive letters from people asking for special prayers. The Silent Unity prayer ministry now operates 24 hours a day, receiving two-million letters and phone calls from all over the world. Silent Unity is based at the Unity Village campus near Kansas City, along with the Unity Institute, which offers classes and retreats year-round and trains new Unity ministers. Some aspects of the Unity movement are denominational, and some are not. For example, there are more than 900 Unity churches and study groups affiliated with Unity’s sister organization, Unity Worldwide Ministries. This is a denominational aspect of Unity. In addition, the Unity Institute and Seminary at Unity Village trains approximately 60 students every two years to be Unity ministers. This is also denominational. However, the majority of the work done by Unity involves prayer, publishing and education services to people of all faiths. These nondenominational aspects include the prayer ministry, Silent Unity, Daily Word (Unity’s nondenominational inspirational monthly magazine), retreats and spiritual enrichment and education classes (SEE) that are open to everyone and teach Unity principles in nondenominational settings. Sin is our separation from God, the Good, in consciousness. Salvation is now—not something that occurs after death. It happens whenever we turn our thoughts from fear, anxiety, worry and doubt to thoughts of love, harmony, joy and peace. The “fall” takes place in consciousness whenever we fall into negative habits of thinking. Heaven and hell are states of consciousness, not geographical locations. We make our own heaven or hell here and now by our thoughts, words and deeds. No. Unity and Christian Science, as well as many other New Thought groups, had their beginnings in the latter part of the 19th century. The application of principles, the methods of teaching, and the organization of the two movements are quite different. Unity of Mesa is a member of Unity Worldwide Ministries.